Don't buy bac water, it's the simplest thing on the planet to make! When creating bacteriostatic water, I go with the standard 0.9% benzyl alcohol to 99.1% water ratio. I wouldn't increase/decrease it without being more knowledgeable about what you're doing than I am in regards to solubility in benzyl alcohol. Water - tap, or sterile (I use tap water and have had no problems with this but I recommend people research their tap water by reading the pdf your city/locale will put out on water quality before determining how safe it is to use). You also want to make sure you're not injecting lead - so if you are living in a building that has been around for a while, run the water for 2 minutes before collecting it. Even if you have a new building, the "lead-free" pipes can still have a tiny amount of lead in it (yeah fucked I know...) so I recommend running the faucet for a while nonetheless. Otherwise just boil it and let it cool. Insulin Syringe (needed to measure out the benzyl alcohol). 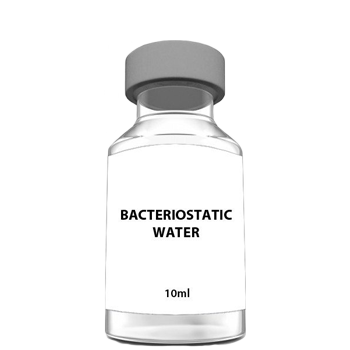 Vial you're going to store your bacteriostatic water in. Use an alcohol swab to wipe off the top of your benzyl alcohol vial. Measure out an appropriate amount of benzyl alcohol (see examples below if you are bad at math). After drawing out the benzyl alcohol, you can have this set set-aside. Measure out the sterile water (if you have sterile water tubes from a needle exchange like I do, you don't have to measure it out) or collect the tap water, and put it into your vial you'll have your bacteriostatic water in. Put in the benzyl alcohol.